The Grade 3s have never had so much fun reviewing key Math concepts as they did this past week! 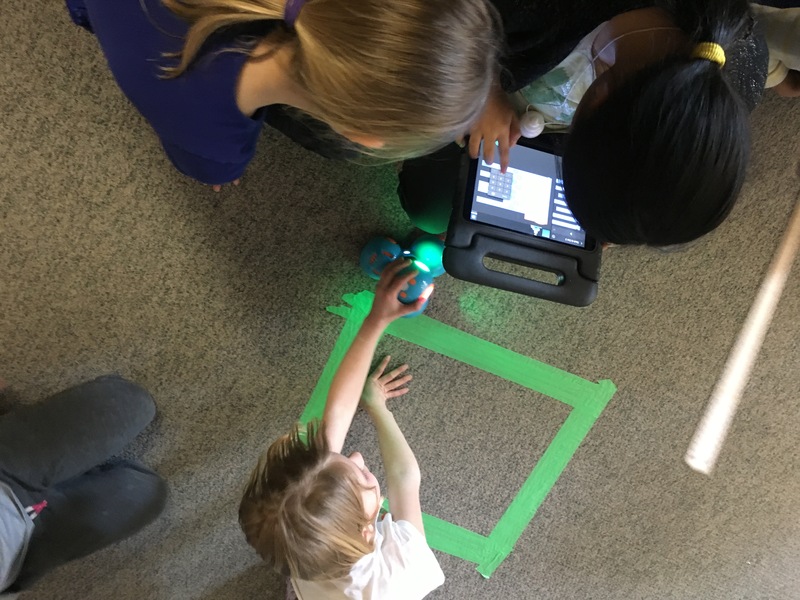 Mme Biglands accompanied her students to the Learning Commons where they learned that they would be coding using Dash robots and the Tickle App. 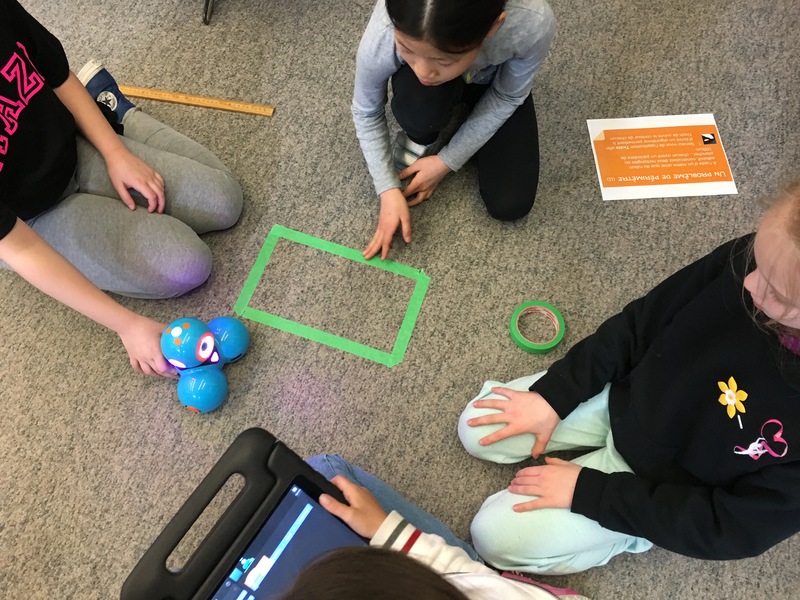 Thanks to some coding exposure during Hour of Code, and during their library book exchange periods, many of the students were excited to take on a new challenge. Prior to learning how to “Tickle”, Mme Madeley asked students to share what they knew about 2D shapes… They named various quadrilaterals and talked about their unique characteristics. They also reviewed ways that they could measure their area and perimeter. The oral review complete, Mme Madeley walked them through the use of Tickle. 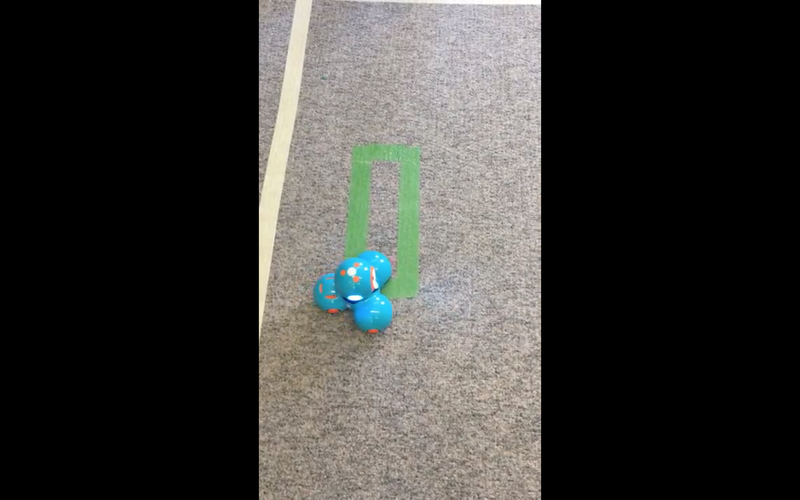 Tickle is a FREE, block-style, drag-and-drop programming app for iPad that supports multiple robots, drones and smart-toys. Students quickly made note of the use of colours to differentiate the various lines of code: motion, looks, sound and control (just to name a few). Students were also introduced to one of Mazo’s Intermediate coding mentors: M. Julien. 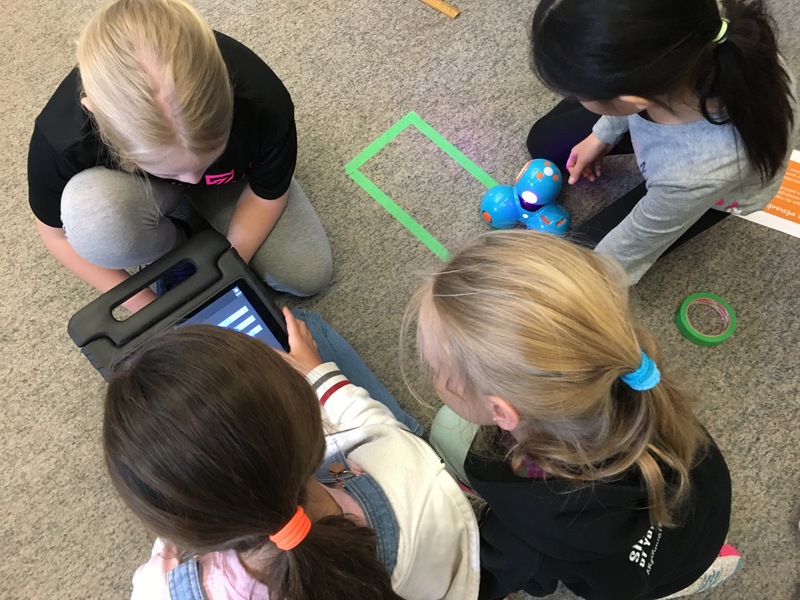 He, along with Mme Madeley, would help students to troubleshoot and provide them with additional tips, tricks and support throughout the activity. 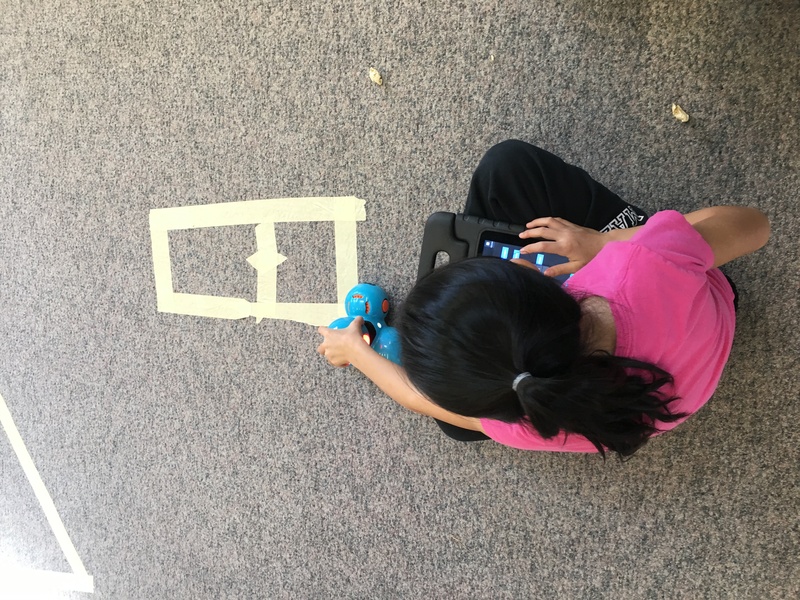 In groups of 3 or 4, students were provided with a series of task cards, a metre stick, masking tape, an iPad, and a Dash robot. It didn’t take long for them to sort things out and get down to business! They troubleshot their way through and learned from each other. Their reactions were priceless! Many could be seen and heard helping each other, and swapping out challenges as they completed each and every one. Needless to say, they are very eager to return to the Learning Commons and tinker with Dash some more!